What value should I be looking at for a 1974 Fender Stratocaster - Olympic White. I am into some serious downsizing and want to move my guitars. A former music teacher of mine is interested and I have no idea what to ask for it. I have looked on eBay where the prices vary widely. In my neck of the woods the prices folks are asking for 70's era Fender Strats is on the verge of ridiculousness. $1700 to $2500. But hey, they're "vintage". I'd buy new for those prices, but then I'm not much of a 70's Fender fan. I'm fairly sure that that color is worth more than sunburst or black. Check out the '18 Vintage Guitar Price Guide, it's a good resource. I have the '17 Price Guide. If I can find my copy I'll check out the selling prices for oly white '74 Strats and post it here. Despite the reputation of the era, people are still enamored with birth year guitars. Dudes (and dudettes) in their mid-forties now. Another resource may be Reverb.com. If you're looking for best price, go Reverb and Fleabay. If you have a sentimental connection to it and would be happier knowing it has gone to someone you know who will appreciate it, then do a local sale.
" people are still enamored with birth year guitars"
Yeah...well...they weren't making guitars when I was born. 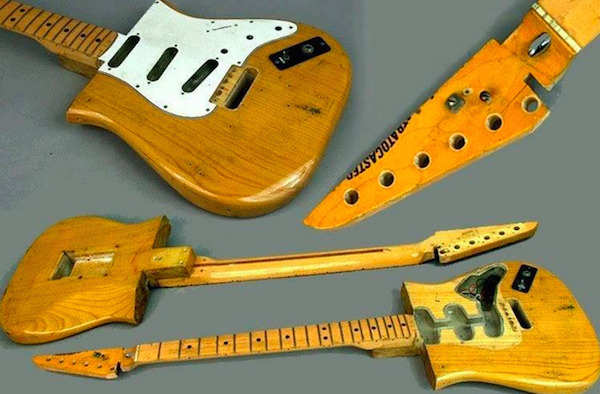 I think Leo built an early prototype that is your birth-year guitar.